Some users reported that they were having issues when trying to connect to their XenDesktop 7.6 virtual machine through Netscaler Gateway. They received the following error “The connection to “virtual_desktop” failed with status (1110)”. First step was to verify the STAs were correct on the StoreFront servers and Netscaler. 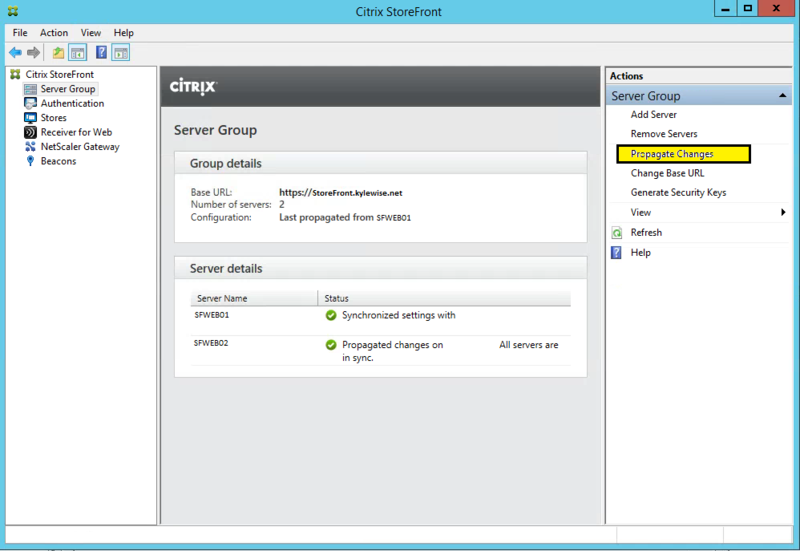 Open up the StoreFront Console and click on Netscaler Gateway. 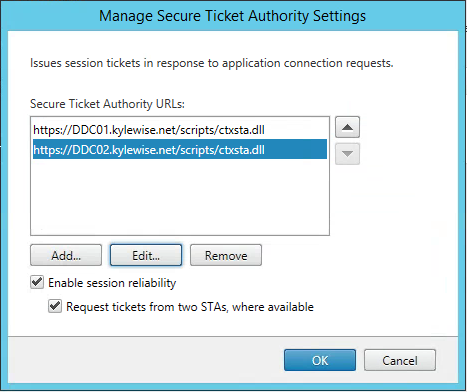 Click on Secure Ticket Authority from the Actions Pane. Verify the STA’s are correct. If you made any changes and there are more than 1 StoreFront Server in your StoreFront Group, you should propagate the changes to the other StoreFront Server. Next I verified the Netscaler Gateway STA’s matched the STA’s that I had configured in StoreFront. Next step was to try and reproduce the issue from a couple different workstations. I was only able to reproduce the issue on a couple Windows 7 and Windows 8 workstations connecting through Netscaler Gateway and not directly through Storefront. I resolved the 1110 error by downloading and updating Root Certs on all the workstations that were getting 1110 errors. Hopefully this helps anyone that is still getting these errors. “Unable to access XenApp/XenDesktop with internet error: “The connection to “virtual_desktop” failed with status (1110)”.